Renting Your Croatian Property: If you’re contemplating on renting your Croatian property to tourists for some extra income, think no more! 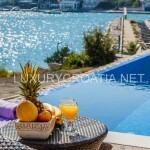 By renting your holiday house or apartment through our travel agency LuxuryCroatia, specialized in villa, house or apartment rentals, you can earn a nice amount of steady profit, especially during the tourist season. At the Luxury Croatia Tourist Agency, your Croatian property renting activities receive only the best and most dedicated promotion and support. We have official contracts with at least 20 main global portals and tour operators for the rental market. Expected occupancy for our properties for rent in Croatia can be up to 18 or even 24 weeks. If you decide to promote your home via our agency we will advise you about expected rental income calculated upon the property facilities and location. On the other hand, if you’re planning to buy for rent, we strongly recommend you to contact us to help and guide you through the whole process of choosing, buying and renting your Croatian real estate. We’ll instruct you and provide all info regarding the necessary work to prepare your property for renting. arrange fixes/replacements where it’s necessary. Price for this service is defined according to every specific situation, and is depending on the size of property, number of rooms, other facilities which needs to be maintained (pool, garden). All of these services can be provided separately.